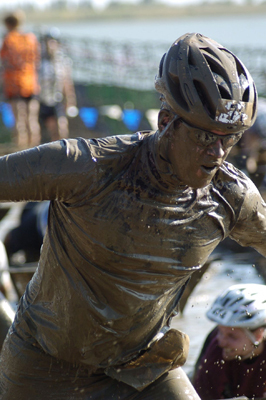 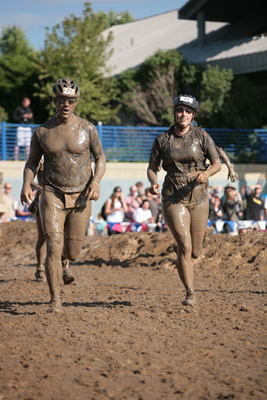 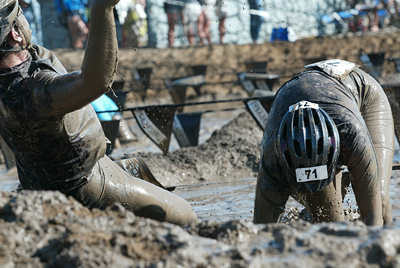 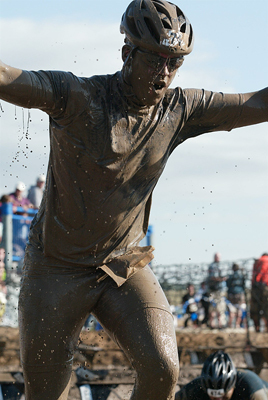 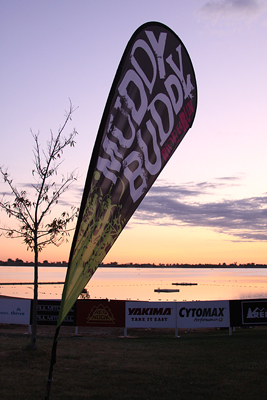 The Muddy Buddy is a 6-7 mile bike & run course. 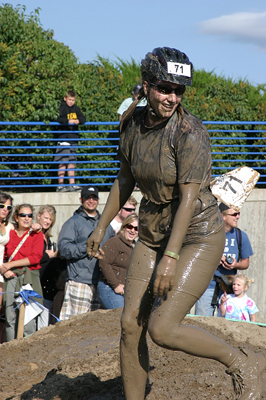 Teams of 2 complete the course by alternating running & biking and are required to negotiate an obstacle at each transition area. 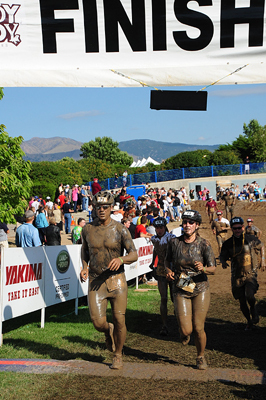 At the end, the team crawls through a mud pit and onto the finish! 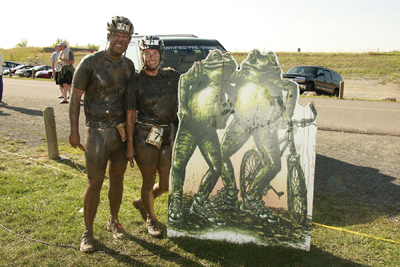 The race was a lot of fun and Travis and Lindsey finished in under an hour and in the top 50% of their age group. 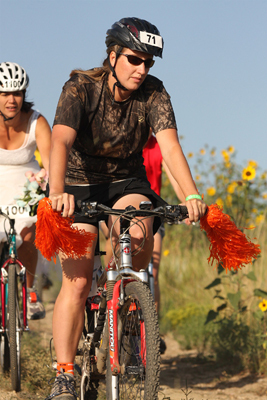 Below are some of the action shots from the race. 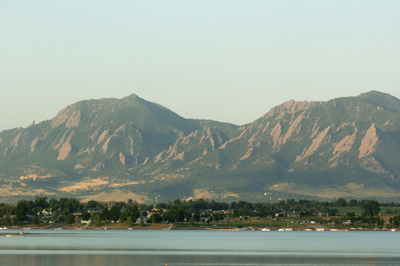 The view of the Flatirons from the Res. 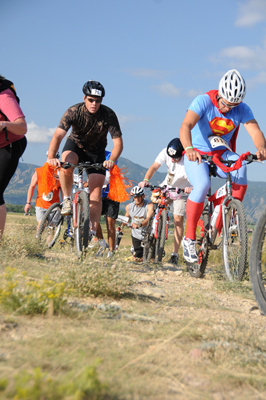 Travis trying to catch Superman.